Coll. No. 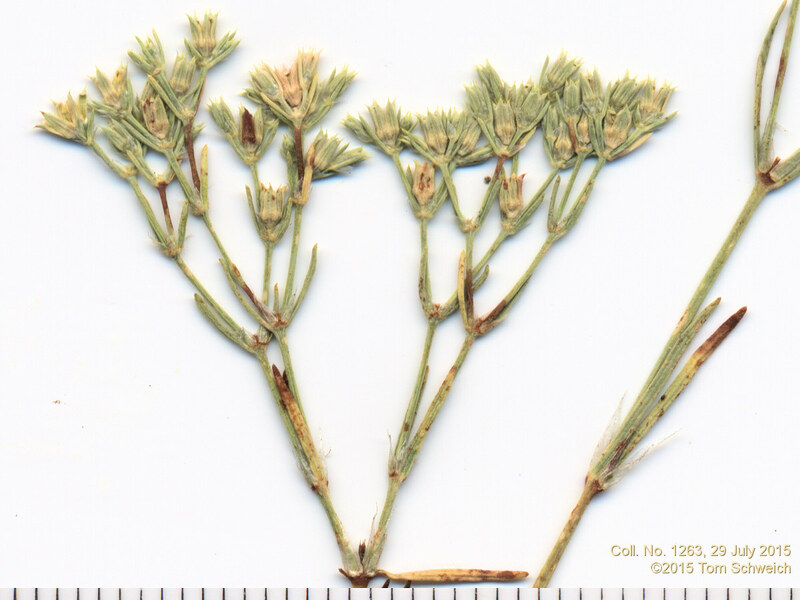 1263, 29 July 2015, characters observed: Perennial erect subshrub, to 15 cm. ; Leaves, cauline, opposite, 10 mm., linear, pointed, stipules, 4-5 mm., papery; Inflorescence, many-flowered cyme; Sepals, #5, 2.3 mm., greenish, awn-tipped; Petals, absent. Field Notes: Coll. No. 1263, 29 Jul 2015.